Vintage Balance™ is designed to help you maintain a full complement of healthy fatty acids. The omega 3-6-9 formula ensures that every fatty acid base contributes to keeping you in peak condition. The variety of fatty acids in Vintage Balance™ keeps you fully “oiled” and running. 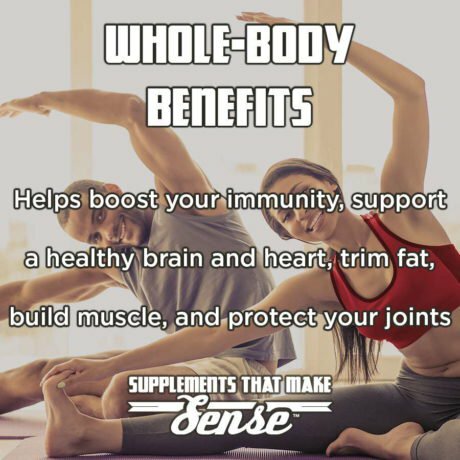 They not only help in maintaining a healthy brain, heart, and immune system, but work to trim fat and build quality muscle mass. Every dose of Vintage Balance™ delivers a potent combination of healthy fats, with zero cholesterol and zero trans fats. Each serving also provides more than half of your daily requirement of Vitamin E.
Vintage Balance is part of our Health & Vitality supplements range. We created it because achieving a balanced, head-turning musculature should never come at the expense of your health. These days, Omega-3 fatty acids are all the rage when it comes to healthy fats. And, there’s a reason for that. Omega-3 fatty acids are important for normal metabolism. There is also substantial evidence that they have other beneficial effects as well. However, the excessive emphasis on these fish oils has led people to disregard the other important fatty acids that bodybuilders and athletes have long relied on. In order for your body to look and feel its best, you need a balance of omega-3, omega-6, and omega-9 fatty acids. Typical diets include these sporadically. However, for maximum benefit, including fat loss and muscle growth, you need them on a daily basis – something bodybuilders have known for years. Vintage Balance delivers all of the essential Omega fatty acids in a potent 3-6-9 formula. 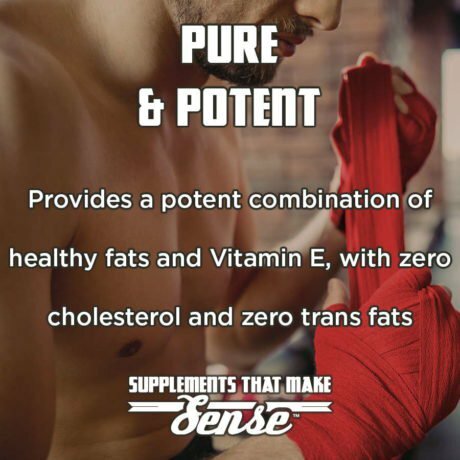 It helps promote a healthy heart, immune system, brain, and joints – as well as accelerated fat loss and muscle growth. So stop paying for isolated omegas and start reaping the benefits of a potent full-spectrum omega blend with Vintage Balance today! At Old School Labs™, we set out from the start to be a premium and uncompromising brand, delivering exclusively premium products. We sell our products directly to you and are therefore able to afford including only the best quality ingredients in all our products. Press More to read about the ingredients you will find in Vintage Balance™ in descending order of weight. Source of healthy polyunsaturated fats that reduce inflammation and ease the stress put on the body by both day-to-day activities and workouts. Derived from the borage plant, which contains the fatty acid GLA. GLA has anti-inflammatory properties that help the body repair itself more quickly and contributes to optimal health. Derived from collagen, a protein found in animal tissue, gelatin is used to hold the oils and other nutrients into an easy to swallow pill. Naturally occurring compound used to help maintain the quality of the fatty acids while in capsule form. Helps maintain the dispersion of the active ingredients within each capsule. An essential vitamin that supports the proper function of important organs. It also acts as an antioxidant, helping the body to eliminate waste. For use as a dietary supplement. 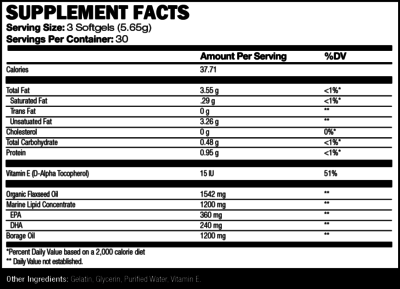 Take 3 softgels per day with a meal, or as directed by your healthcare professional. For best results, use for at least 3 months to help establish good nutrient levels in the body. 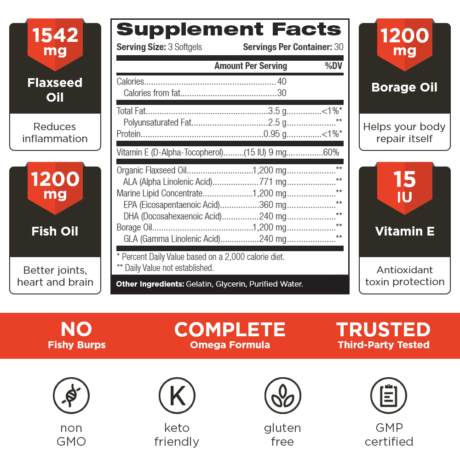 Should I supplement Vintage Balance™ with additional fish oil or omegas? 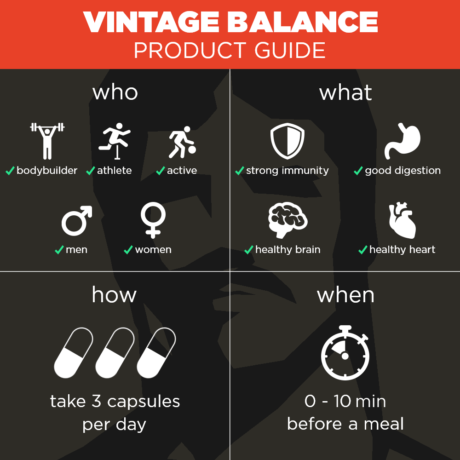 Why does Vintage Balance™ use a 3-6-9 formula? 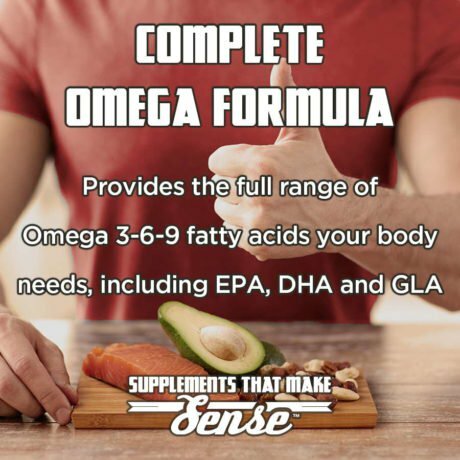 The 3-6-9 formula is a complete formula that ensures that you have all of your essential fatty acid bases covered. It’s based on the diet regimen followed by the Golden Era bodybuilders. Can’t I get enough Omega 3-6-9s in my normal diet? It’s possible to get sufficient Omega 3-6-9s through diet alone, but that generally means consuming a large amount of different healthy fatty foods. Vintage Balance™ is a convenient and less calorie-intensive way to get your quota of Omega 3-6-9s. How pure are the omega oils in Vintage Balance™? All omega oils in Vintage Balance™ are 100% pure and potent, derived from natural and ecological sources. There is no need to take additional supplements unless directed by your trainer or physician. 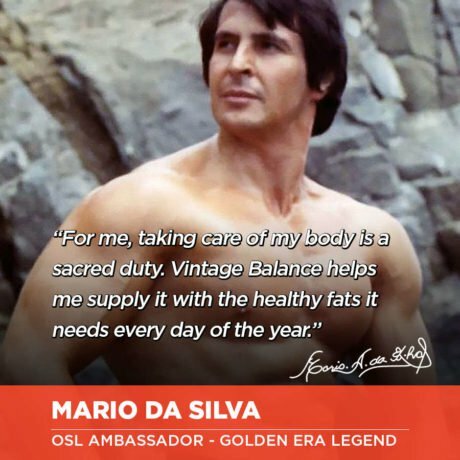 Vintage Balance™ in combination with your daily diet will ensure that you get all the omegas you need.